An exquisite encounter with a Sicilian leaves Tess alone, penniless and pregnant. 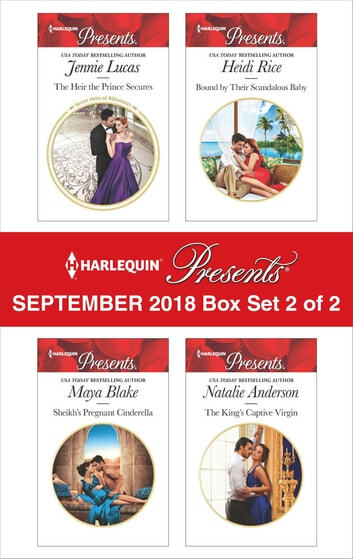 Until Stefano returns, discovers his unknown heir and reveals he’s royalty! Now, to protect his tiny daughter, he’ll make Tess his Cinderella bride! Requiring a replacement bride, duty-bound Sheikh Zufar commands timid maid Neisha be his stand-in queen. Their marriage is coolly convenient, but their chemistry burns fiercely…and Neisha’s shock pregnancy will test Zufar’s iron control! 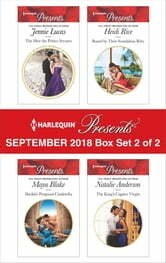 Be sure to collect Harlequin® Presents’ September 2018 Box Set 1 of 2!